Every school needs money and most staff, admins and parents know exactly how they would like new money to be used. After a school board or PTA meeting, it is decided that the school will seek new funds via grants. Hence I get this same question, very often via GrantWatch's Online Chat, our Support Email and in person, "How Do I Get A Grant For My School?" There is no simple or short answer but the initial step I always respond with is to first identify a funding opportunity that matches your needs, for which your school is fully eligible. Then I will ask you the following seven questions. 1. Is your school government sponsored or a 501c3 nonprofit? 2. Does the mission statement include faith based (religious) activity? 3. What would the money be used for? 5. Is there a demonstrated need for your project that you are trying to fund in your area and for your target audience? Do you have any statistics, newspaper articles, or surveys, to back up the need? 6. Is there someone within your organization capable of writing a high level fundable proposal? 7. When you get funded, who will direct the project? Here are my insights into why I would ask these questions. 1. Is your school a government sponsored school or a 501c3 nonprofit? Each grant application has a description of eligibility. The majority of grants are for nonprofit organizations with a 501c3 IRS status and luckily the majority of schools do have that status. Some pre-schools are private for-profit establishments. There are also grants available for them. However, they may be different grants than the ones available for nonpofits and sometimes they are the same. Eligibility: ...the school must be recognized by the Kentucky Department of Education as a non-profit instructional day school, either public or private, that serves students in the range from Kindergarten through 12th grade. Pre-schools and postsecondary schools are not eligible. Faith based schools teach or promote a religious philosophy. If that describes your school you need to apply to grants that either include the faith based status in the eligibility or grants that do not exclude religious or faith based institutions from eligibility. Additionally, although it may include faith based - you want to review what faith they have funded in previous years. You must be have 501(c)3 status for five years to apply. Grants of $6,500 and $50,000 to USA and territories nonprofit organizations, schools, school districts, and higher education institutions to help fund volunteering efforts of projects. Applicants are asked to identify a local issue to address, and to recruit and enrich the social responsibility of volunteers. Grants to Arizona K-12 teachers to take their students on a free field trip to a science center. Teachers must attend one of several field trip workshops held between November 11 to December 12 to be able to request a field trip. Field trips will provide a rich learning experience, support content standards, and create excitement for learning science through our hands-on exhibits and activities. 4. Have you previously received grant funds? From whom? For what? When? and do you have the previously funded application? You are in a good place if you have a previously-written grant application for your school. Even if it wasn't funded - that application will contain valuable information about the organization, information that took a great deal of time to assemble into written form. All previously written proposals should be used as the background and backbone of a new proposal. It is likely, that a previously written proposal can be a good representation of a cohesive project. The old proposal may or may not need tweaking and upgrading or it may be an awarded grant that needs mentioning in the new application. 5. Is there a demonstrated need for your project that you are trying to fund in your target service area and/or for your target audience? Do you have any statistics, newspaper articles, or surveys, to back up the need? Start saving newspaper clippings, online articles and references that support your program. Create surveys and tally the results that establish and prove the need. Get quotes from local leaders that support your statement of need. This will all strengthen your application. The funding source wants to know about your organizational capacity. A high quality proposal is a clear demonstration of your agency's capability. The author of the proposal does not sign their name - they are generally what I call a ghost. 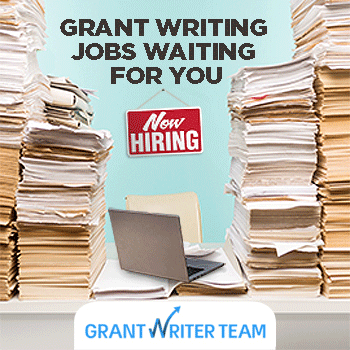 So if you do not have the capability within, request the services of a professional grant writer. This is the dilemma many organizations face. If the available grant does not support the staff needed to run the program who will direct the project? Do you have someone within your organization or some dedicated proven volunteers to manage the program? If the answer is a solid "no" - then you need to apply for multiple grants to support your program and bring it to fruition.